Learn more about IT service agreements, migration processes, response times, and data security measures in the IT FAQs blog. Why should I consider outsourcing our IT in the first place? In today’s digital age, technology is used to support almost every aspect of business — from product development at the forefront, to project planning at management level, to accounting at the back-end. Check out our post on the Benefits of IT Support for Small Companies, where we explore the role that IT support plays in developing, and sustaining, a growing business. Why should I choose you as my IT Service provider? Our ability to understand and meet the needs of our clients makes us one of the favoured IT Services for many small companies based in London. We fully understand that you need to feel confident in outsourcing your IT. You can learn more about why UK IT Service ticks all the right boxes from our blog. How will you price your services for my unique business? Our experience in the IT Service industry dates back to 1999. We’ve priced a vast array of client requirements, across varied industries. No matter how unique your business is, we’ll cater individual components to meet your needs. We’ll provide you with the precise costings for each part of our service. This will enable you to check our competitive pricing against any other quotations you receive. We believe that creating clear, itemised proposals — without the small print — is one step towards building strong, long-lasting, client relationships. Cancellations need not be a cause for concern. Our service agreements stipulate a break clause with immediate effect during the first month, and three months notice thereafter. This enables you to end the service at your discretion. Of course, we hope that you’ll be satisfied with the high standards we set, and decide to continue working with us. Can I try your service before committing? The migration process is time-intensive at our end — so we don’t provide trials. However, we’re currently offering a generous introductory promotion for new clients, giving one month’s free service when you sign up for 12 months. And if that’s too much of a commitment, then short-term contracts an alternative option. Either way, we’re here to discuss your requirements. To learn more about our current offers and pricing structures, please contact us. Is it difficult to migrate to UK IT? No. One of our key objectives is to ensure that the migration process is hassle-free for all clients. Monitor your progress after completion of the changeover in order to adjust your set up to perfection. Learn more on how we handle migrations from our post: Tips for a Hassle Free Transition. Will I maintain full control over my business by using your service? We understand that you are likely to have some reservations about outsourcing your IT. Perhaps you’re concerned about loss of directorship, the privacy of confidential information, or spiralling costs. Rest assured that with UK IT you won’t surrender any control. On the contrary you’ll gain additional flexibility by relieving time-consuming responsibilities to us. 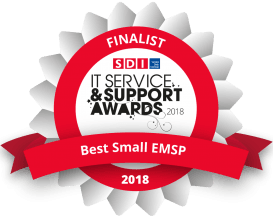 Learn more about how we improve the efficiency of SME’s from our post: What’s The Best IT Support Service For Your Small Business? How quickly do you respond to requests for assistance? UK IT is a 24x7x365 organisation. So we’re here to provide remote IT support at any time. Furthermore, we focus on serving local, London-based clients. This means we’re able to rapidly respond to physical faults. That’s why, in the vast majority of cases, we outperform target response times and exceed the agreed SLAs. We’ll do everything it takes to reduce system downtime and, most crucially, maintain the continuity of your services. Will you ensure my work is backed up? Yes — that goes without saying. We regularly backup important data to a separate location. In the worst case scenario, this backup might be required to restore your system if your data is deleted or modified accidentally, or without authorisation. However, our aim is to anticipate potential faults, and act before they become a source of confrontation or crisis. Regular maintenance, system updates, and enhanced security features carried out by us all help to eliminate data loss. How will you keep my company’s data safe and protected? 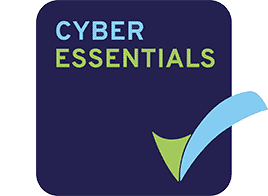 We’ll assess the impact cyber crimes could have on your organisation, and take every possible measure to prevent anyone falling victim to them. Recommending new software and hardware that reduces security breaches. Companies of all sizes depend on the smooth running of their IT systems and the information contained on them. That’s precisely why we devote so many resources to (substantially) minimising risks. Business owners should read our Guide To Protecting Your SME From Cyber Crime. What happens if you don’t meet SLA’s? UK IT doesn’t take on workloads that our team isn’t capable of completing, on task, during the most turbulent periods. So, at no point, should there be delays in our service. Thus, we usually exceed agreed SLA’s. Our business is driven by customer satisfaction and recommendations. Hence, we must deliver the high quality levels we promise our clients. If, for some reason, you are displeased with our service then we’d look to put any wrongs right as quickly as possible. What if I want to switch to another IT service from UK IT? We respect the choices of our clients. So if it didn’t work out, then we’ll accommodate your decision to leave us and help you migrate, if required. Contact us to find out more on any of the above points, or to ask specific questions.